On Monday, August 11, 2014, weather permitting, work will begin on Phase I of the West 117th Street repair project beginning at Bellaire Road and progressing northbound to Lake Avenue. 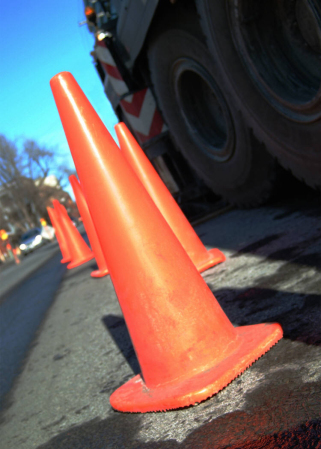 One lane of northbound and southbound traffic on West 117th Street will be maintained during this phase. Westbound and eastbound traffic at the Detroit Avenue, Franklin Boulevard, and Madison Avenue intersections will be detoured onto West 116th Street and Berea Road once work begins at each of the corresponding intersections. Additional traffic advisories will be issued prior to work beginning at each of the listed intersection. A second work zone will be established during this project from Lorain Avenue to Western Avenue in order to replace the asphalt bridge approaches leading towards Interstate 90. Northbound and southbound West 117th Street traffic will be maintained, as is, and no detour is expected. This portion of the project is expected to be in completed in September 2014. The West 117th Street repair project includes roadway pavement removal and repairs at various locations based upon pavement condition. Project completion for Phase 1 of the project is scheduled for December 2014. Access to all businesses, residences and side streets will be maintained during construction. On-street parking will not be allowed during this phase of the project. Advance notice signs will be posted to advise West 117th Street traffic of any and all construction.